When people shut off their gadgets, step outside their homes, put away their mobile phones, and connect with their community, magic happens. Strangers turn into friends. Bland, humdrum days turn into grand adventures. And regular, 9-to-5-working, camera-toting, game-loving folks like me turn into mighty wizards commanding vast armies of ethereal beasts. 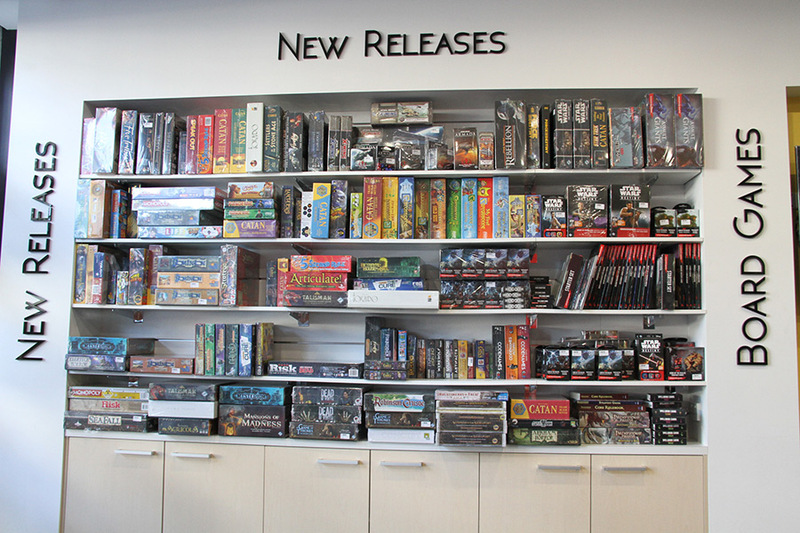 Welcome to the weekend tabletop gaming scene at Games Corner! 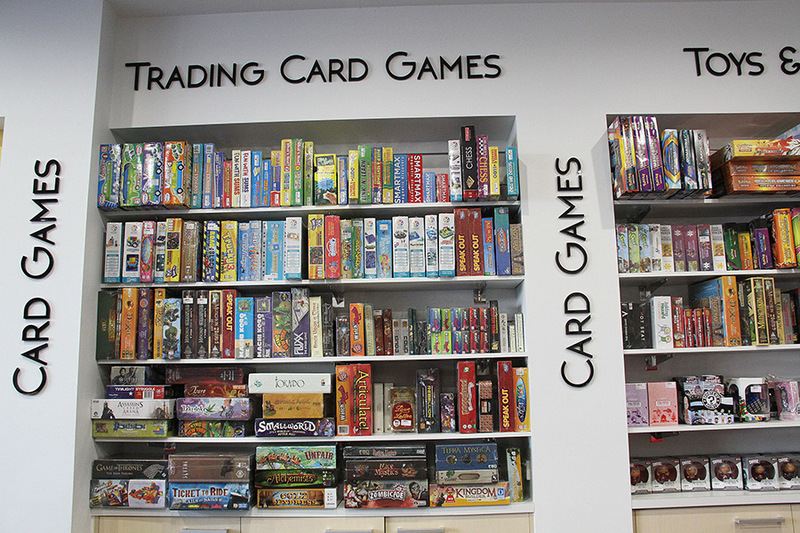 Games Corner hosts a fully stacked, always-fresh inventory of board games, card games, puzzles, and toys. 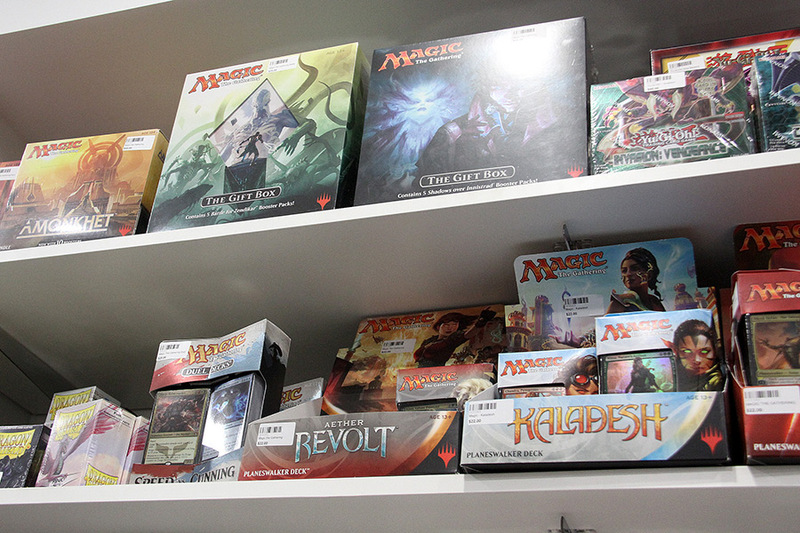 Most items here are sold at lower prices than in other stores– for example, $22.00 for a Planeswalker Deck here, compared to $28.00 for the same thing elsewhere! 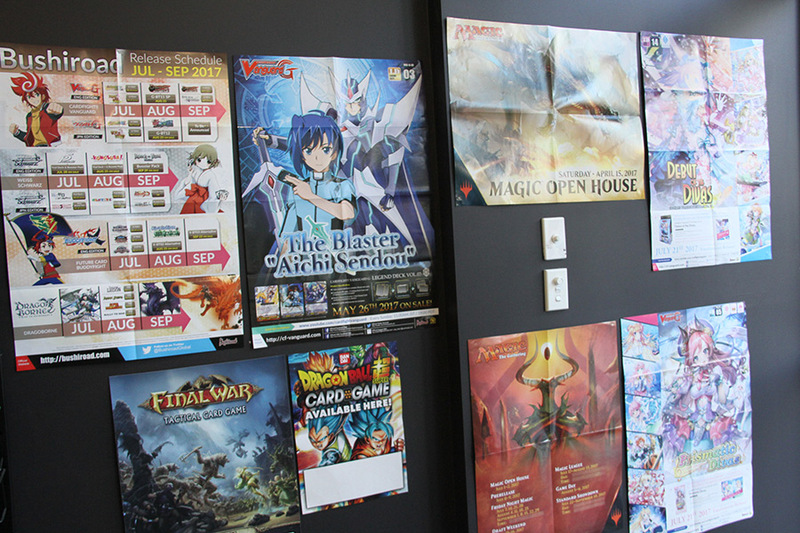 Posters on the wall keep the community updated on upcoming casual gaming sessions and tournaments, such as the Magic: The Gathering tournament that I found myself unexpectedly joining. 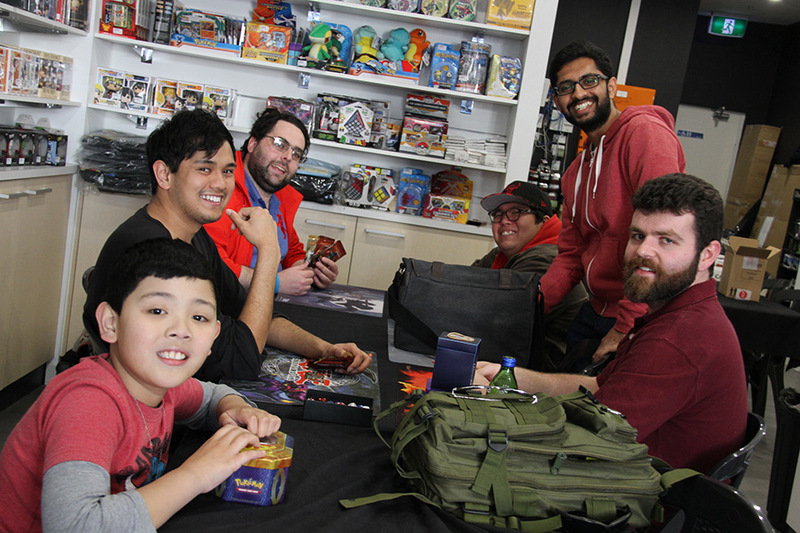 Games Corner is a licensed Wizards of the Coast tournament host, which means all tournament wins are registered at Wizards of the Coasts’ database. 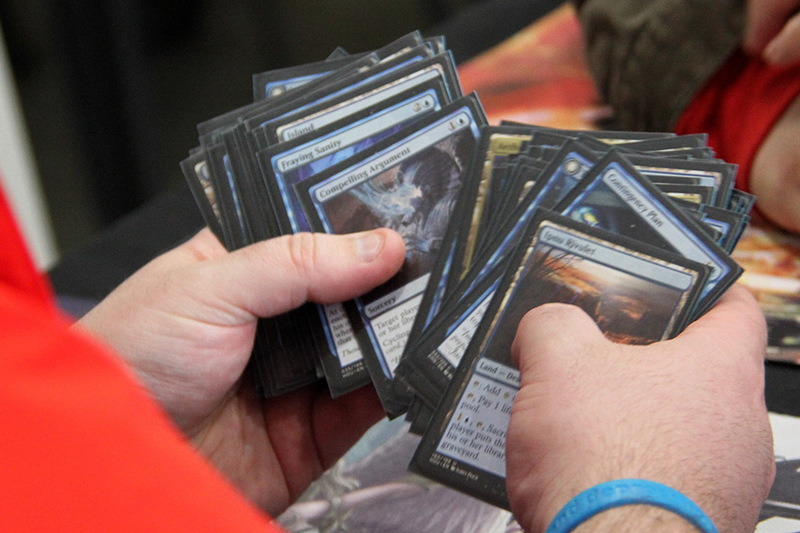 Top-ranking players around the country get invited to the annual Magic: The Gathering Pro Tour and compete for an impressive cash prize pool! 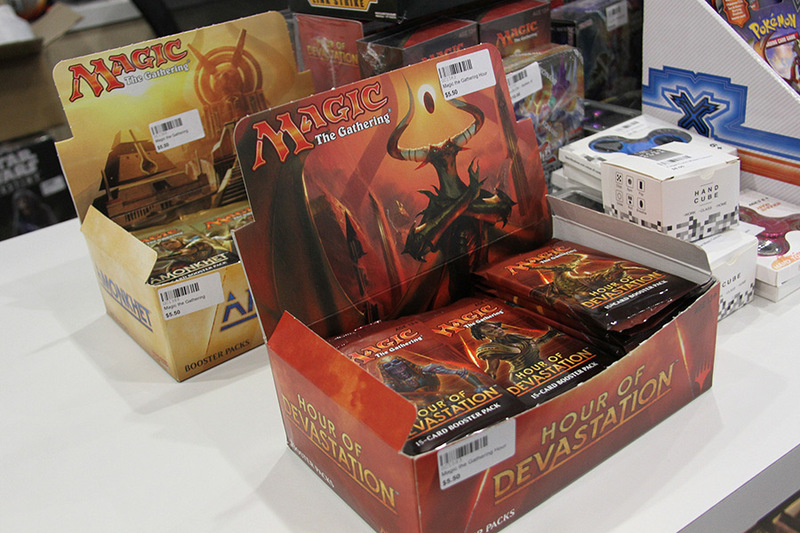 It so happened that today marked the first official Draft tournament featuring the newest Magic: The Gathering card set, Hour of Devastation. 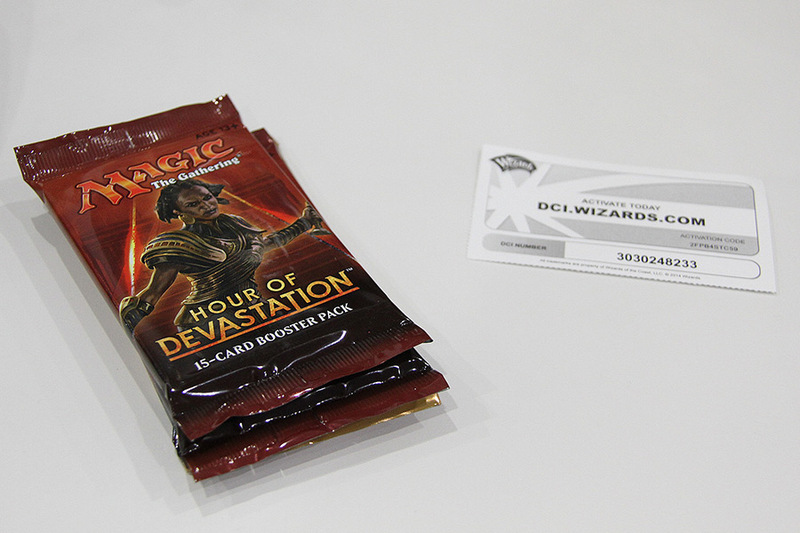 Draft, for non-Magic players, is a tournament style where each player receives three brand-new, unopened “booster” packs (sets of 15 random cards). 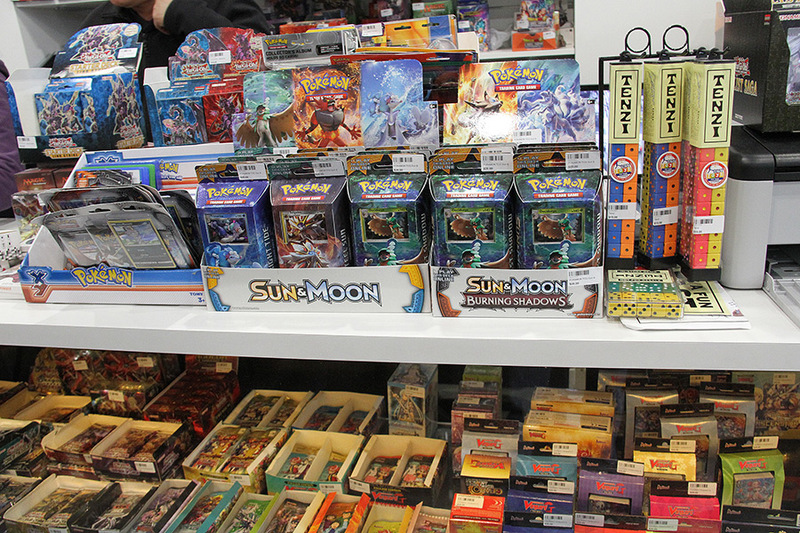 Each player opens one, takes any one card that he or she likes, then passes the pack to the next player, who does the same. 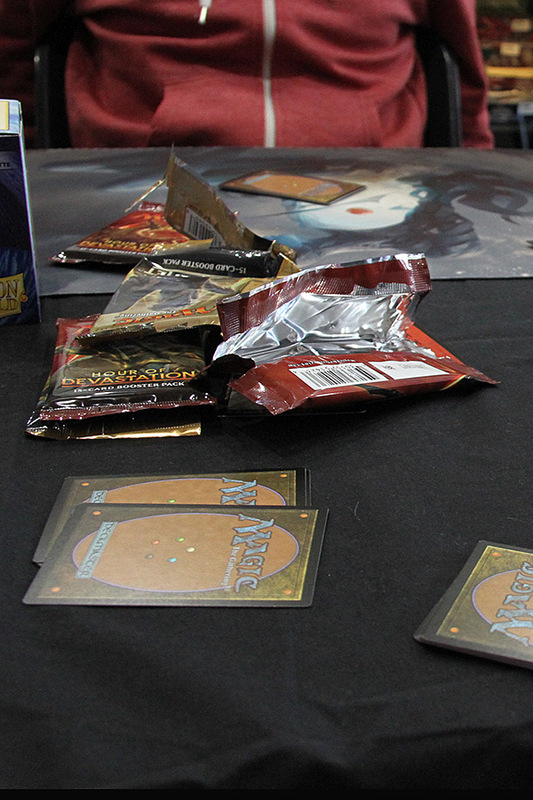 This goes on until all the packs have done the rounds among all the players, and each person has built their own set of cards of their choosing. 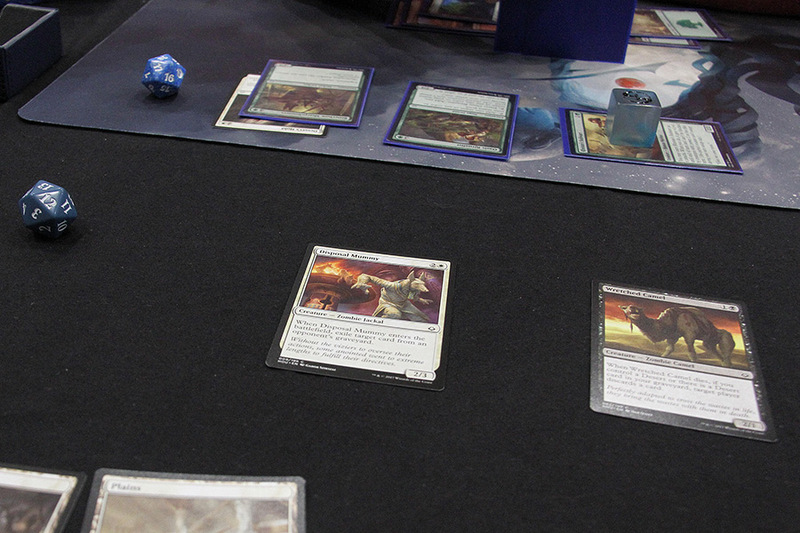 I’d only intended to photograph the tournament for this article, not play in it. 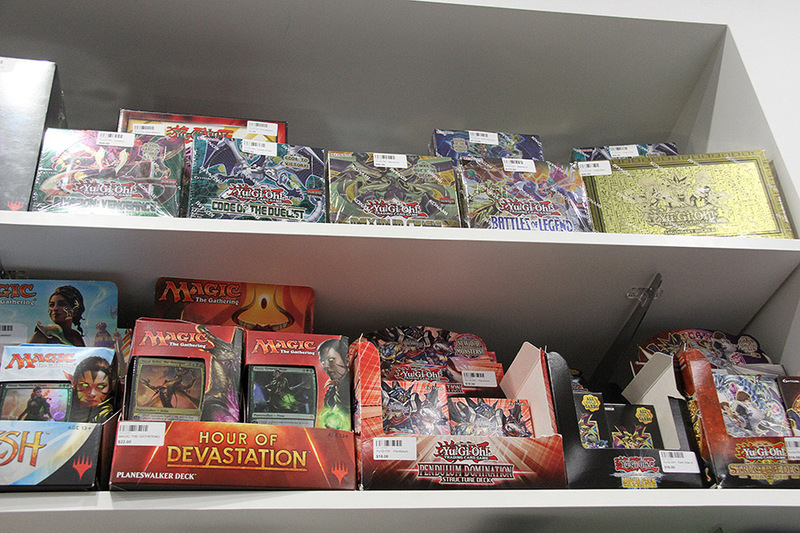 I was *extremely* new to the game, having only bought my first two decks of cards the previous day. 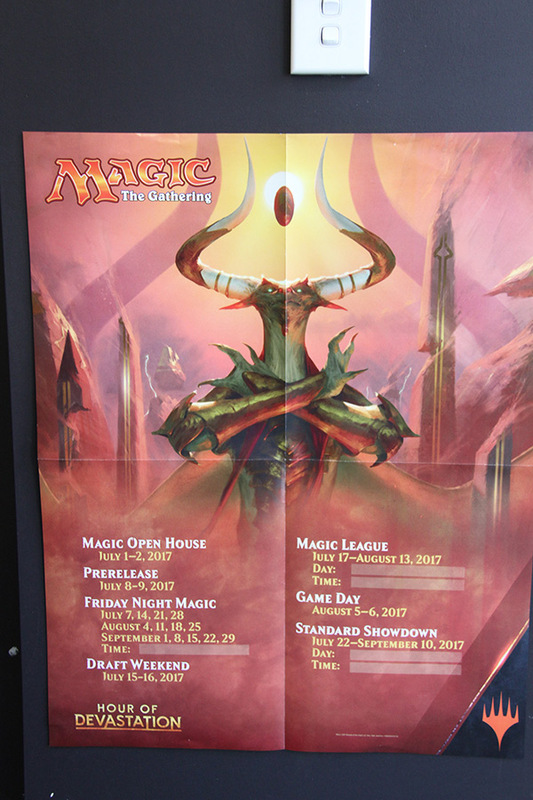 Besides a quick tutorial from a Magic-playing friend, I had no experience playing in a casual match, much less a tournament. After much encouragement from the shop regulars, though, I decided to give it a whirl! 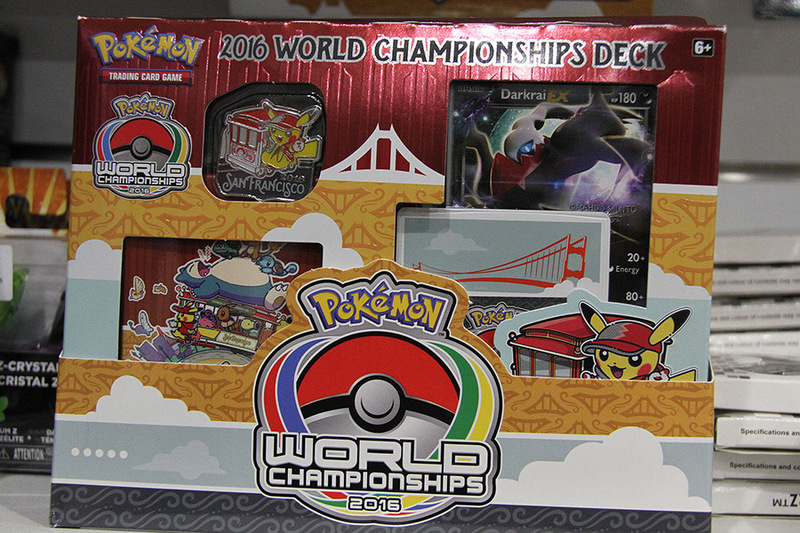 Cracking open the first pack! 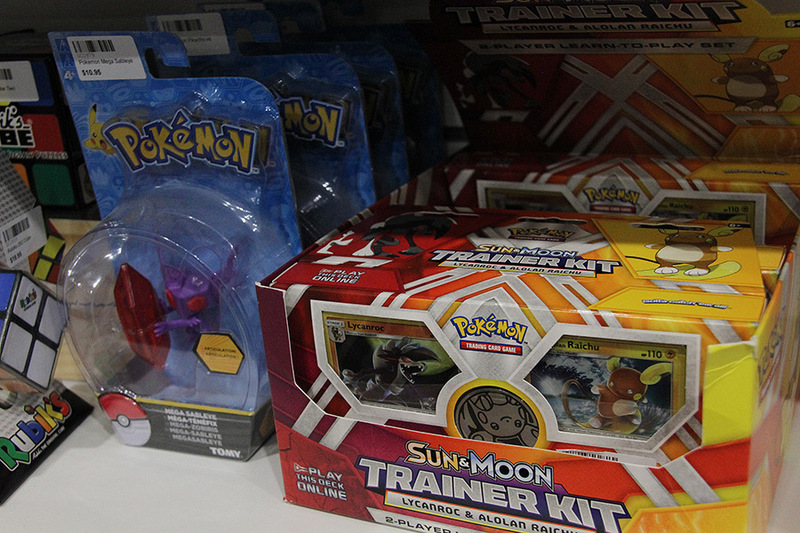 Talk about a lucky dip! 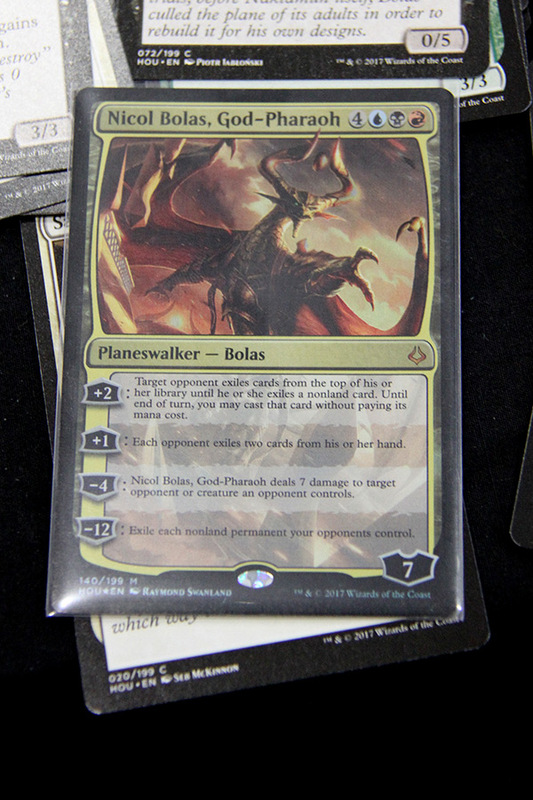 My second pack contained this ultra-rare, powerful Nicol Bolas Planeswalker card! No, this rookie underdog did not rapidly master the game mechanics and beat the pros against all odds. This wasn’t a Hollywood feel-good movie. You see, it was something better. I didn’t blaze through the learning process like young Mozart on his piano. I had my own opponents walking me through most of the game, like patient parents teaching their little one to walk. 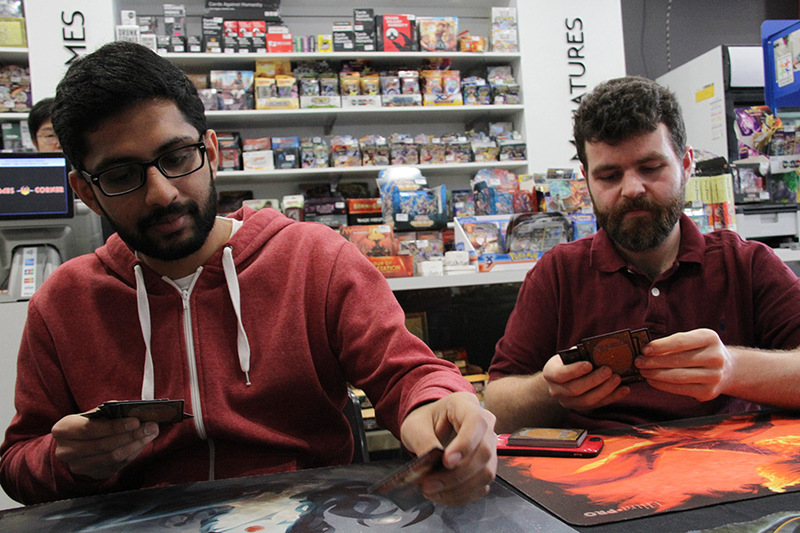 They gave me a detailed run-down of how to pick good cards, corrected me whenever I executed my moves in the wrong order, taught me how and when to play my trump cards, and never once made me feel awkward for being new. 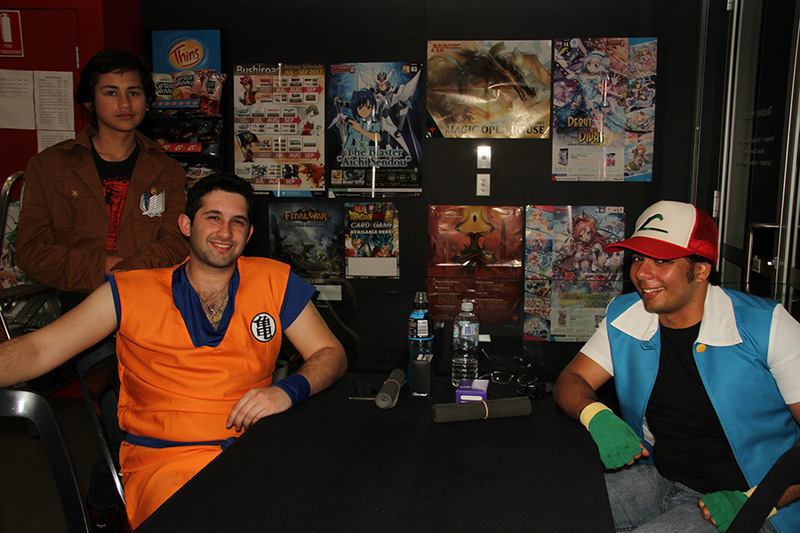 Although we were rivals, we quickly bonded as friends. 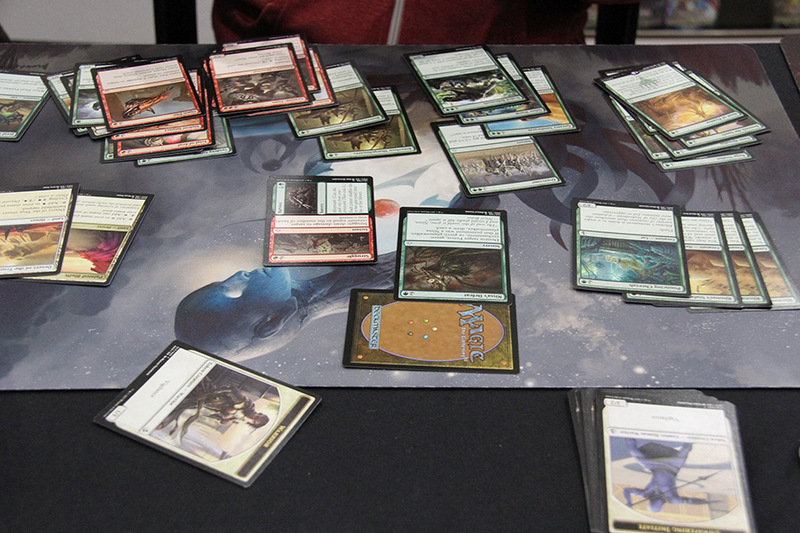 Oh, and I managed to win ONE match, so at least I didn’t wind up on the absolute bottom. 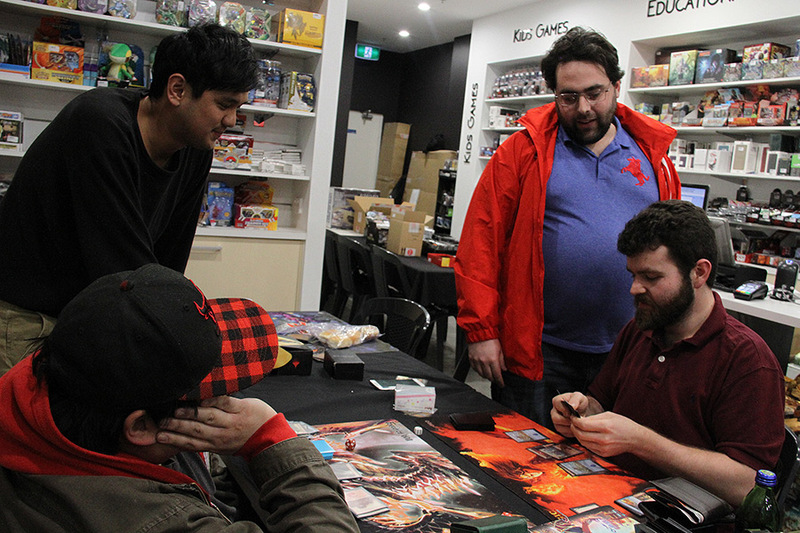 The great thing about Draft tournaments at Games Corner is that players get to keep all the cards they pick– even the most powerful rare cards, if anyone is lucky enough to find one (like me!). 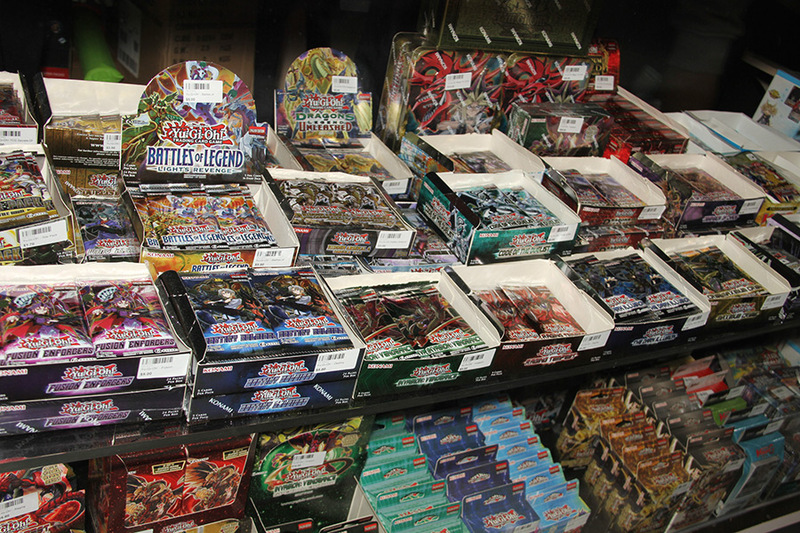 For a $15 joining fee, getting the equivalent of three full booster packs and the possibility of an ultra-powerful card is absolute value for money. 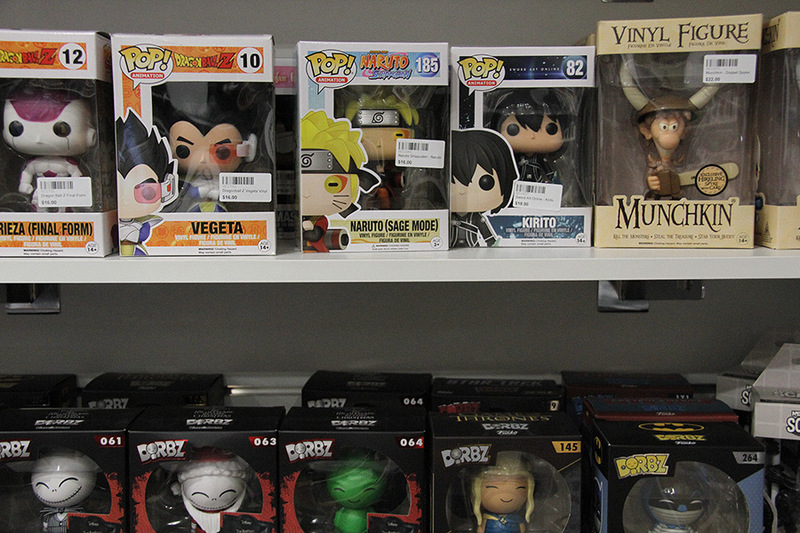 Plus, the fun times, immensely friendly and helpful player base, and excellent customer service are priceless. 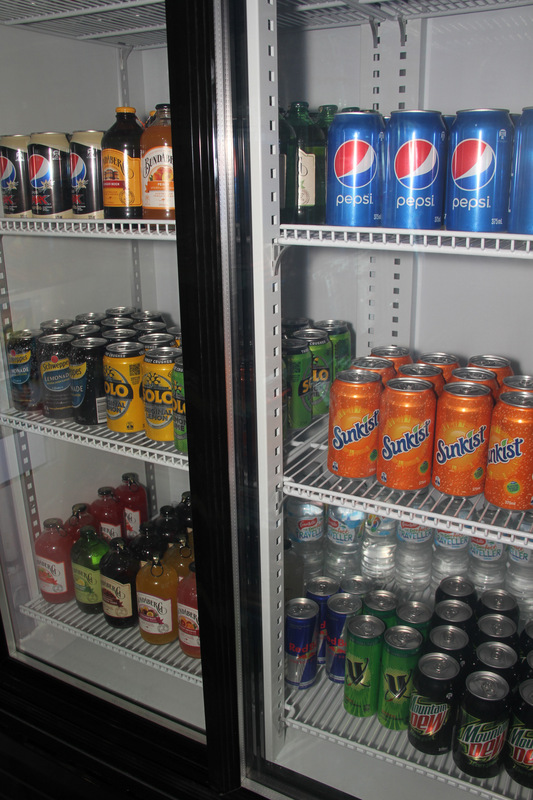 You’ll even find ice-cold drinks and a shelf of snacks on sale to reinvigorate yourself between tournament matches. 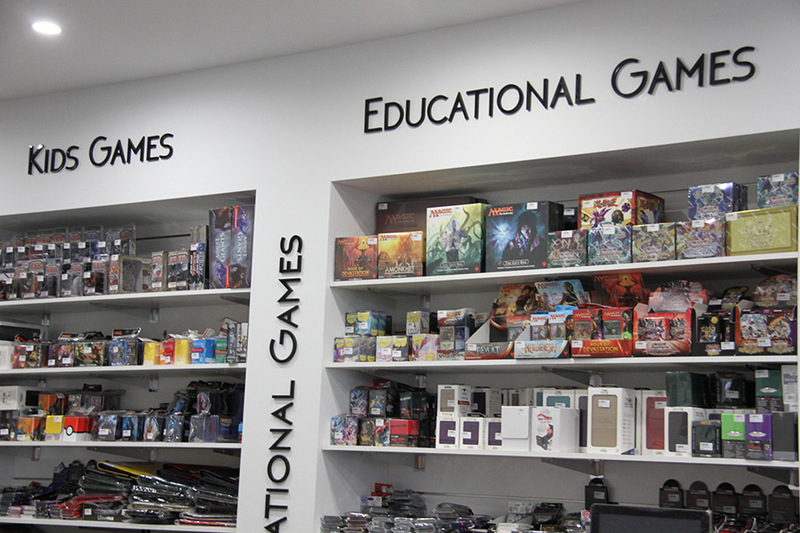 Check out Games Corner‘s stunning selection at Shop 5/459 Church Street, Parramatta NSW 2150. To get there using the free Parramatta Shuttle bus, board the bus at Westfield Parramatta and ride it to Church Street North. After getting off at the Church Street North bus stop, follow the building numbers to 459, which is near the corner of Church and Harold Streets. 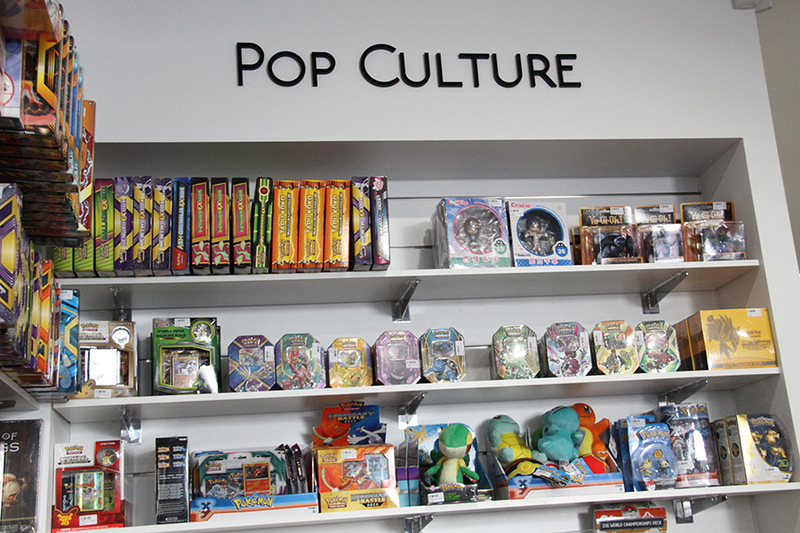 The store is open from 10 AM to 10 PM on every day of the week except Fridays, when it’s open from 10 AM to 11 PM. 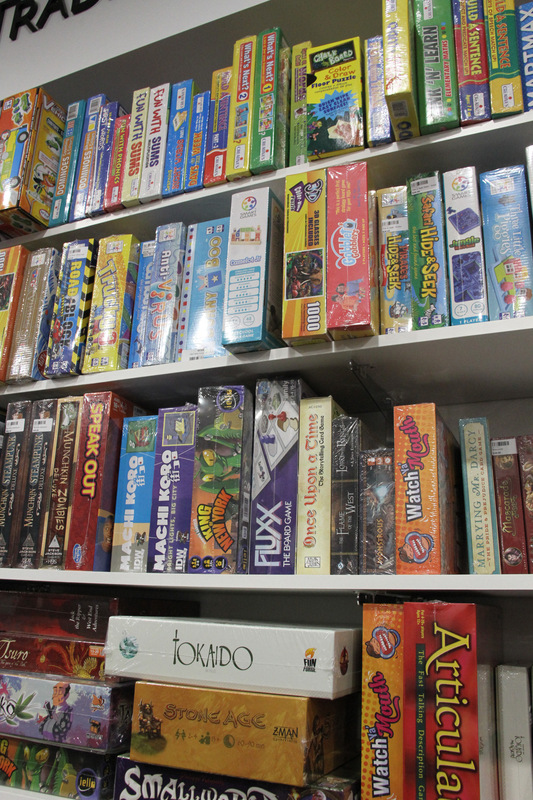 Put down the electronics and have some truly engaging, face-to-face competitive fun at Games Corner today!